Migration to and within the EU is a reality and a right. Migrants aren’t only people seeking asylum from war-torn countries – they are also third-country nationals from countries like the United States seeking work, and EU citizens enjoying the right to freedom of movement between Member States. In times of crisis migrants and ethnic and religious minorities are often convenient scapegoats. Unfortunately, the EU today does not constitute an exception. The cultural, social and economic inclusion migrants is beneficial for both the migrants themselves and society in general. Cultural inclusion allows migrants and minorities to enjoy their own culture in the open, and encourages them to participate more in the cultural practices of wider society. 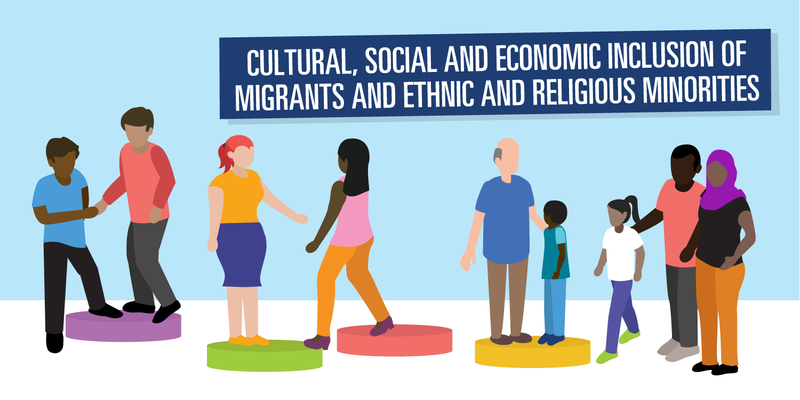 Social inclusion means that migrants and minorities have full access to essential health, housing, employment and social services, which creates long-term savings for wider society. Economic inclusion helps migrants and minorities find quality employment suited to their skills, which has a large positive impact on the economy. In December 2016 a delegation of Social Platform members visited southern Sweden. Our aim was to visit organisations that work to promote the economic and social inclusion on migrants and find out what works, what doesn’t, and where more support is needed from national and EU level. Find out what we learned here. The Facilitation Directive aims to stop undocumented migrants from unlawfully entering, moving within, and living in EU Member States. It helps to fight organised smuggling rings and people who want to exploit undocumented migrants. However, the Directive also gives Member States the option to punish those who offer humanitarian assistance to these people. This could include emergency shelter, food, or medical attention. Find our more about our ‘Decriminalising Solidarity’ campaign here.